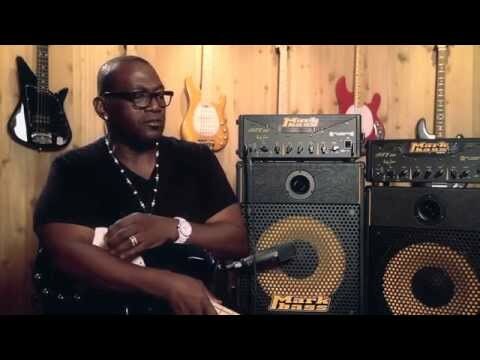 Randy Jackson is world famous as a TV celebrity—he's been one of the judges on America's most-watched TV series, American Idol, since the beginning of the show in 2002. What some don't know, however, is that he's an incredibly accomplished bass player. His resume is vastand varied, and boasts such names as Carlos Santana, Jerry Garcia, Jean-Luc Ponty, Journey, Zucchero, Billy Cobham, Keith Richards, Aretha Franklin, Steve Lukather, Madonna, Herbie Hancock and many others. Randy has collaborated with Markbass to create this exceptional 1x15” cabinet. Like all Markbass cabinets, this model is light and portable and offers rich, clear tone. The sound is deep and warm but has greater clarity and definition than other 15” woofer--and the cabinet features a cool, unique look, with ultra-durable custom tolex covering. England's iGuitar webzine has reviewed the new Randy Jackson signature model head and cabinet.